Need a video resolution converter? Video resolution is usually expressed as width × height, with the value given in pixels. There are two types of video resolution: Standard Definition (SD) and High Definition (HD). The most popular standard resolutions are 640 x 360 and 640 × 480 for video, and 720 × 480 and 720 × 576 for DVD. HD video usually has a resolution of 1280 × 720 (720p) or 1920 × 1080 (1080p, also called Full HD). You may need to reduce video resolution, for example if you want to upload high resolution video to your mobile device, since these devices often support only specific resolutions. Increasing video resolution is a pretty rare practice, and there are good reasons why. If you simply increase the resolution of a video, the quality will not improve, but the video size may grow. However, sometimes these transformations may be essential. If you want to burn a low-resolution video (for example a 320 × 240 video shot on your cell phone) to DVD, you will need to increase the resolution because the DVD standard requires video to have a resolution of not less than 720 × 480. 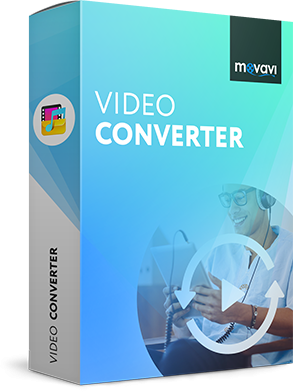 Movavi Video Converter is powerful, yet easy-to-use conversion software that lets you change video resolution easily. It supports the most popular video formats and offers ready-made presets for even the newest mobile devices. Click the appropriate button below to get the version of the program for Windows or Mac and check out this brief step-by-step guide to learn how to change resolution for video files. First, download the program from our website. Run the downloaded file and install the software following the on-screen instructions. Movavi Video Converter is fully compatible with Windows and OS X and supports the latest video processing technologies, so you can enjoy fast video conversion on the latest Microsoft OS and Mac OS. Run Movavi Video Converter and click Add Media > Add Video in the upper left corner of the program interface. In the new window, choose one or more video files to convert. If you want to add DVD Video, click Add DVD > Open DVD and choose your DVD. To review the list of available formats, open the Video tab and choose the video format you want: AVI, MP4, FLV, MOV, WMV, and many more. You can either choose a preset with a predefined resolution, for example, MP4 H.264 - 640x480 or specify a different resolution later on. If you want to prepare video for viewing on an iPhone, iPod, iPad, PSP, or another portable device, click Devices and choose the appropriate preset for your device. Your video will be converted at the optimal resolution for viewing on that mobile device. There's also an option to detect your device automatically by connecting your device to the computer and clicking the Cell Phone icon in the lower right corner. You can skip this step if you have already selected a format or device preset with a predefined resolution. Click the Cogwheel icon below the presets ribbon. Locate the Frame size drop-down list. Here, you can either choose one of the standard resolutions, or select Custom and specify your desired resolution in the Width and Height boxes to the right. You may also want to choose a resize method from the drop-down list to optimally fit your video into the selected dimensions. Click OK to apply the changes. By default, converted videos are saved to the Movavi Library folder. If you want to change the output folder, click the Folder icon to the right of the Save to field and choose another folder or create a new one and click OK.
Click the Convert button and wait for the process to finish. After the conversion is complete, the folder containing the converted files will open automatically.